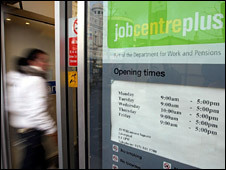 Measures to help people who have been out of work for more than six months are to be unveiled by the government. Work and Pensions Secretary James Purnell said the government wanted to avoid "writing off a generation if they become long-term unemployed". Details will be announced on Monday as Gordon Brown chairs a job summit. Last month Mr Purnell said proposals to force most benefit claimants to prepare for work or face penalties were a "fair deal". 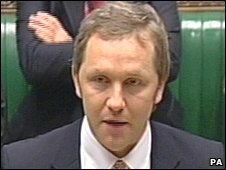 Mr Purnell said the government was determined to prevent people falling into a vicious circle of unemployment. "The really key thing is not to repeat mistakes of the past and to write off a whole generation if they become long-term unemployed. "If people do become long-term unemployed it's much, much harder for them to get back into work." He said the government would be announcing next week "extra help, more real help to make sure that people if they have been out of work for six months get more support so they can get back into the labour market." The Conservatives say the government appears to be adopting some of their proposals, but they want to study the details. Shadow work and pensions secretary Chris Grayling said: "We have already had a string of either fake or exaggerated announcements on jobs this week from the government. "At a time when it is clear the government's policies on the recession are not working, ministers need to show that this latest set of initiatives have some substance behind them - and are not just more spin and re-announcement." Mr Purnell will outline the ways in which more training, advice and incentives for employers will be made available ahead of the jobs summit. BBC political correspondent Carole Walker said the prime minister "wants to demonstrate the government is addressing the growing concerns about jobs as the downturn takes its toll". To that end, former health secretary Alan Milburn is being brought back to frontline politics. Mr Milburn, who is seen as a Blairite, will chair a panel of industry leaders to help people from disadvantaged backgrounds progress in key professions. In a Sunday Times article he said he would try to ensure "the best people, regardless of their backgrounds, have a fair crack of the whip". Measures to promote social mobility are to be set out in a White Paper on Tuesday.